The vote to leave the EU by the British electorate on 23 June 2016 raises a range of vital questions for businesses across the country. The implications of leaving the EU for housing associations and their associates will depend entirely on the outcome of the exit process, and the shape that the UK's new relationship with Europe will take. Lucy Pedrick, who leads the National Housing Federation's policy work on the EU in England, has a degree in European and International Law and has studied European constitutional law in depth in the UK, the Netherlands and Norway. She will outline the process of leaving the EU and explore the long-term implications for housing associations and their commercial associates across the themes of funding, building homes, and regulation in particular. This event is open to Commercial Associate members of the SFHA only. 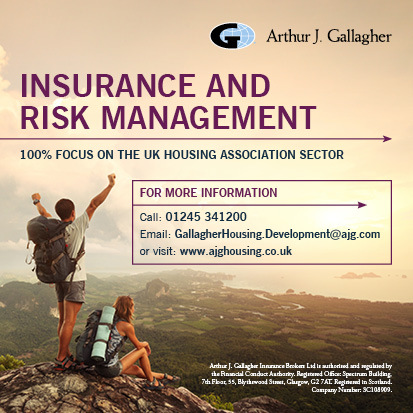 Taking place at the Holyrood Hotel in Edinburgh on the 24 August from 08.30 to 10.00 the event is exclusively available to Commercial Associate members of the SFHA and is FREE to attend. Places are limited and will be allocated on a first come, first served basis.